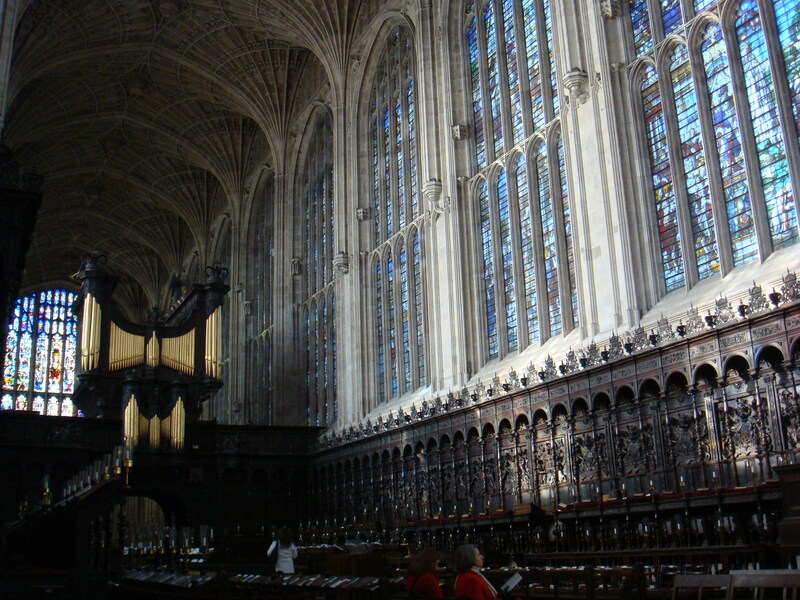 The chapel at King’s College Cambridge, is an unique national treasure in the beautiful city of Cambridge. 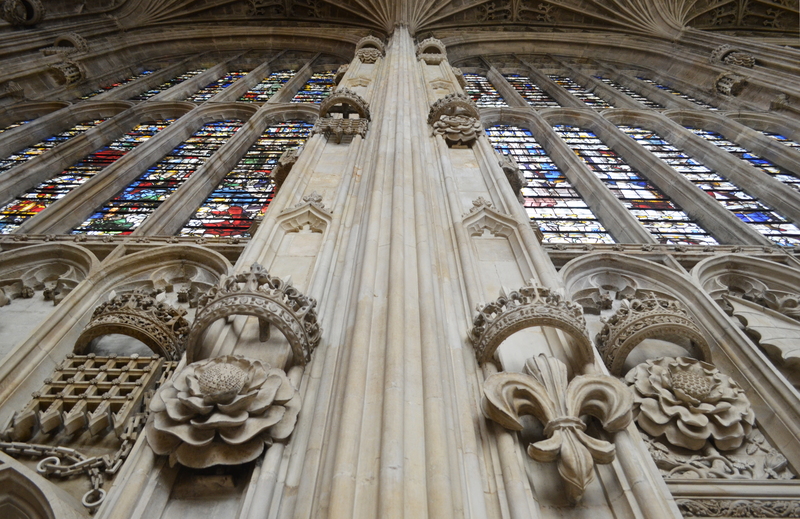 It was a labour of faith of the King’s of England, being built and completed under 5 monarchs, and to me is now a symbol of time’s eventual reconciliation. What is very special is the period of it’s creation and completion. Completed between 1446 – 1547, this was one of the most turbulent and unsettled times in English history. The Wars of the Roses divided the country in the 15th Century, and the religion of the country was turned upside down in the 16th Century. 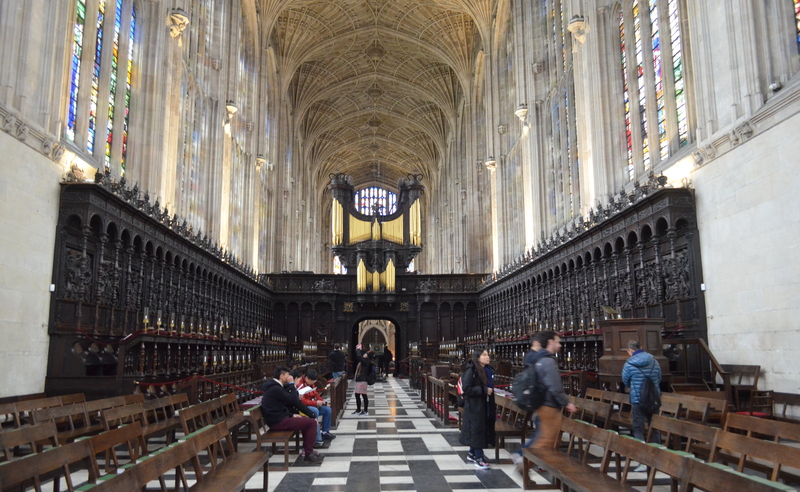 Throughout all of this unrest, King’s College Chapel defiantly rose into being one of the most glorious buildings in England. 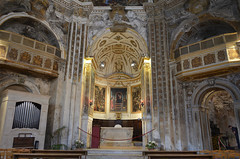 From the instant you walk through the North door of the chapel, you are instantly struck by the sense of space and height, with the eye being drawn upwards and towards the East. 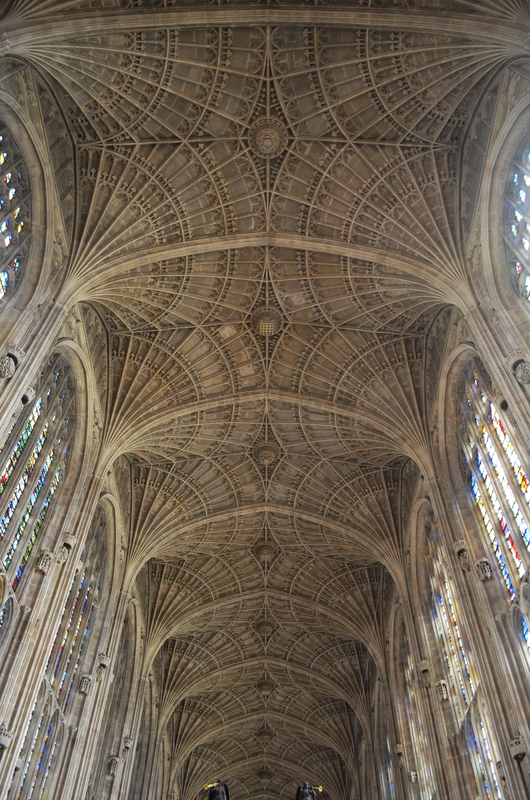 The fan vaulting of the Nave is the largest in England and manages to make the huge stone ceiling look delicate and almost as if it is draped in lace. We have Henry VII to thank for this, he left £5000 (a huge ca. £2.4m in today’s money) for the vaulting to be completed after his death. The master mason John Wastell was responsible for the glorious vaulted ceiling, and it only took 3 years to complete between 1512 and 1515. 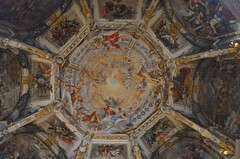 John Wastell died in 1515, just after his great work was completed and he also left us a wonderful architectural legacy. 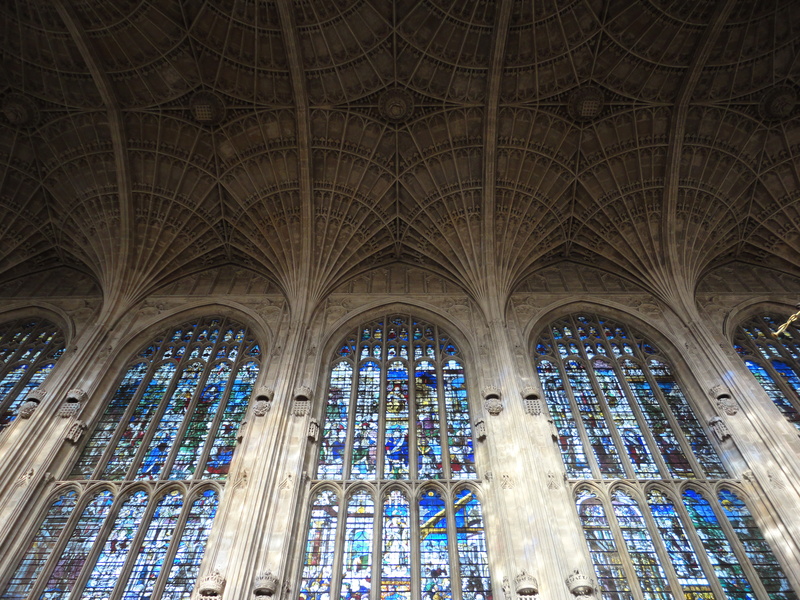 He was responsible for the fan vaulting in the retro choir at Peterborough cathedral, and the Bell Harry tower at Canterbury cathedral. 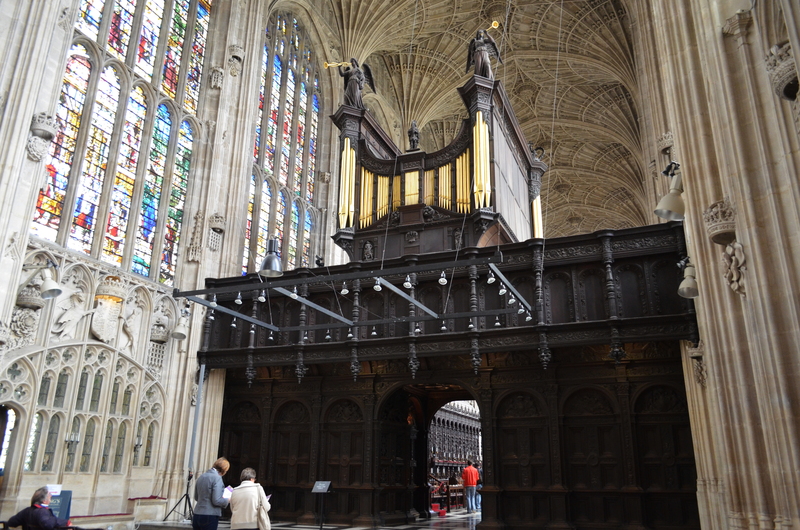 At the entrance to the quire stands the rood screen, a large wooden structure that supports the organ. 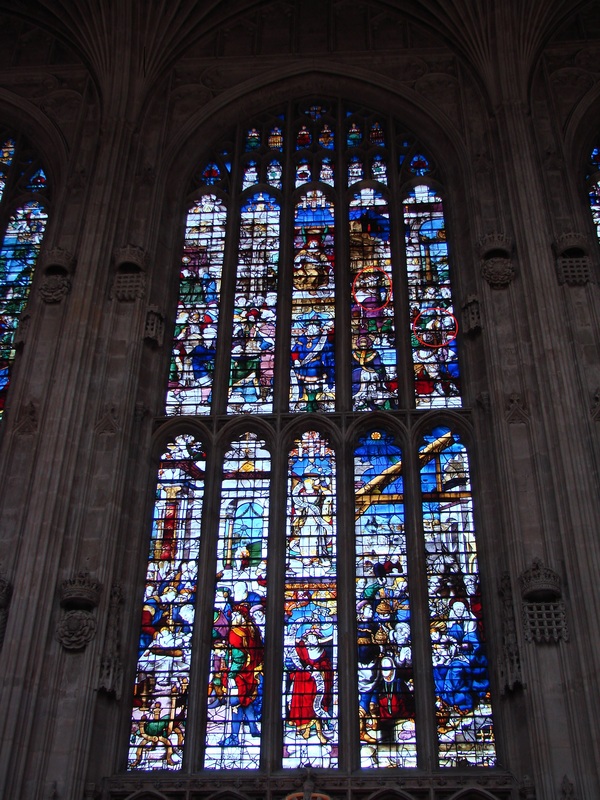 It was erected in 1532 – 1536 by Henry VIII in celebration of his marriage to Anne Boleyn. 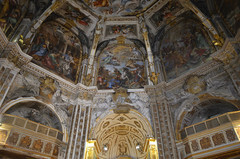 It is renaissance in style, and stands out from the Gothic nature of the rest of the chapel. Make sure you have a close look at this wonderful screen, it is full of symbolism, and you can see the interlocking H’s and A’s of Henry VIII and Anne Boleyn, Anna Regina, and many HR’s. As Anne was executed in 1536, and Henry did his best to erase all trace of her memory, this remains one of the few remnants of her memory to remain untouched in England. 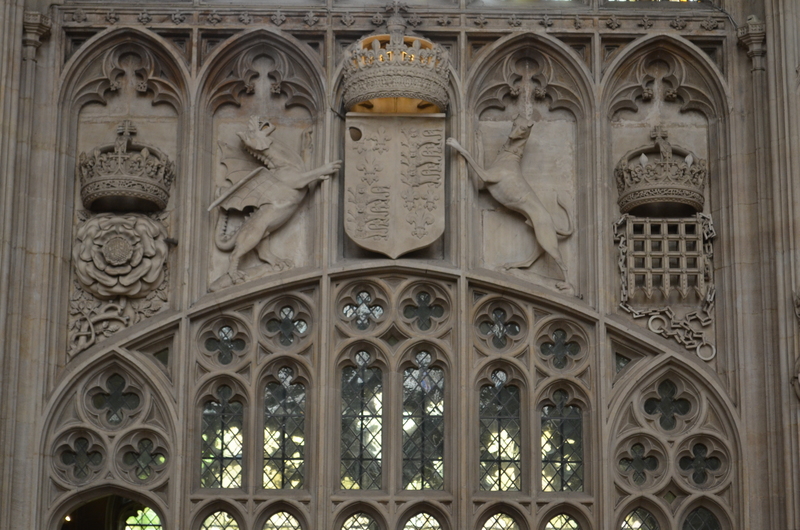 As the interior of the chapel was mostly completed during the reign’s of Henry VII and Henry VIII, it remains a chapel full of Tudor propaganda. Henry VII had a difficult reign and he was determined to show the people that he was the rightful King. 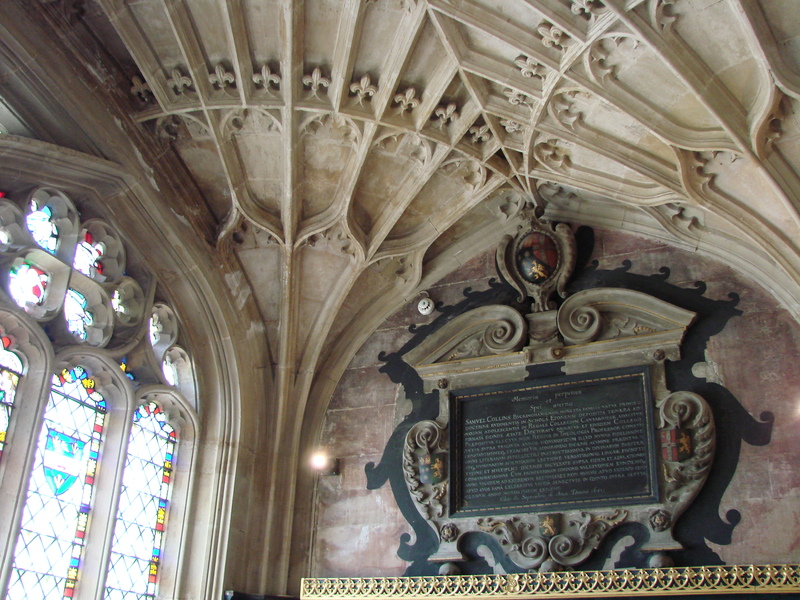 The founder of the chapel Henry VI was Henry VII’s uncle, and Henry VII tried to have him declared a Saint and wanted to be closely associated with him, hence part of his decision in investing the money into the chapel. 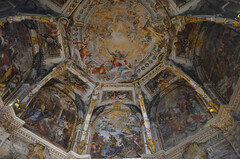 All around on the walls, you are told the story of the Tudor dynasty. 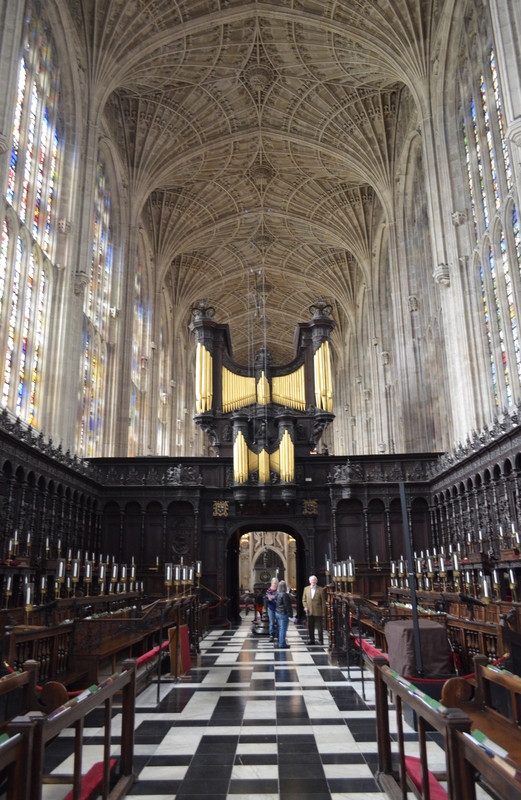 You can’t write about the interior of King’s Chapel without mentioning the glass, it’s a wonder and surrounds every inch of the chapel. I am going to talk about a wonderful anecdote that I learnt about on one of my visits to King’s. 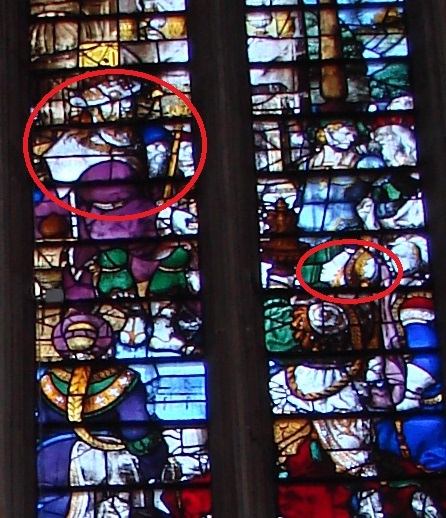 All around are scenes depicted from the bible and on the North side, approximately 1 or two windows to the West of the Rood screen is a depiction of King Solomon. It is thought that the King was meant to represent Henry VIII, and in the bottom right hand side is a young woman in profile, thought to be one of the only remaining likenesses of Henry’s ill fated 5th wife, Katherine Howard. I like this thought – just like Anne, a small remembrance remains of her, no matter how viciously Henry tried to erase her. Visit! It is impossible to describe and seems to be left wanting, no matter how hard you try to throw praise at it! It is a must see for fans of the Tudor’s and for those who are not, it’s a comfort to see something so beautiful that came out of the Wars of the Roses.